Once you know your business type, you want to make sure that you areprocessing under that correct business type to take advantage of the savings. You will need to call your processor and ask. If you are not set up properly, you need to find out why and fix it. Your processor may not have intentionally set youup under the wrong business type, but it has reaped a financial reward from you.This is why you need to constantly be pro active in accepting bids for your merchant services. Do not become complacent with your current provider,because like it not many have their best interests at heart. There are dozens of card types out there, personal cards, rewards cards,corporate cards, debit cards, purchase cards. Each type of card has a direct impact on the rate that you pay. You need to know a break down of the card types to effectively minimize your processing charges. 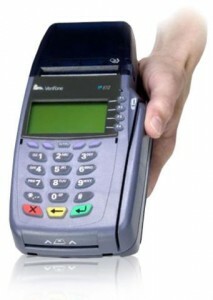 You will also need to know the percentage of swiped transactions, keyed intransactions, and business card transactions. Lets say your processor providesyou with a super low swiped rate, but you are keying in most of your transactions.Or if you are set up with a low consumer card rate, but take mostly business cards. Remember many processors will sell you low rate to get your business.The low rate may not apply for the majority of transactions. A higher rate may apply. This is why you need to know your card mix. If you are not sure of your card mix, your processor should have a website whereyou can review your transactions. Some processor’s websites provide in depthanalysis of your transactions. This is valuable information. Please use it to your advantage. As mentioned before, IC Plus pricing offers the greatest savings for most businesses. There are some exceptions. If you know for example that youaccept 95% personal cards swiped through your credit card terminal, you wouldbe better off with a low 3 tier pricing. The reason is that you can predict that nearly all of your transactions will qualify at the lowest qualified rate and only a few transactions will qualify at the higher Mid and Non Qualified rates.If you take a majority of Business cards, you might be better off under a special B2B pricing program. Most small business owners are not sure of their card mix. Usually, the card mixis all across the board. In this case, you are better off with IC Plus pricing. Knowing your average transaction will save you money. You can find youraverage transaction on your statement or you can simply divide your monthlyvolume by the monthly number of transactions. This is important to know,because if your average transaction is below $15, you may qualify for the small ticket program. If you have a high average ticket, your business may benefitfrom pin debit savings. A few years back there was the story of the merchant who had purchased one ofthe first credit card terminals, a Verifone Zon Jr. XL for a pricey sum. He had heard so many stories about his fellow merchants getting fleeced on terminalsthat he vowed never to buy another terminal again. One day a merchant services rep walked into his store and analyzed his statement. He noticed that his rates were extremely high. When he saw the Zon Jr. terminal, he realized that the obsolete equipment was the cause for the surcharges. The poor sales rep tried to convince the merchant that to savemoney he’d have to switch to new equipment. The sales rep explained that the Zon only read the one track of information embedded on the back of magneticstrip of credit cards. Visa/Mastercard required that both tracks be read. The merchant would not budge. Another five years passed, and finally the Zon gave out. The merchant coughed up the money to purchase a new machine. The next month, he noticed that his processing charges per transaction were nearly 2% less than the month before.The sales rep had been right. He had been wrong. The merchant had saved a few hundred dollars on keeping his old equipment, but lost thousands of dollars in unnecessary fees because he was processing incorrectly. The moral of the story is that to ensure you maximize your savings utilize the latest equipment and technology. It really will make a difference. Another factor to consider is PCI Compliance. PCI Compliance is the credit card processing industry’s program to eliminate fraud by compelling merchants tofollow their security regulations. Some older terminals are no longer PCI compliant and merchants who continue to use those terminals will face heavy fines if their terminals are compromised. It is really revealing to know that most merchants seldom if ever review theirstatements on a monthly basis. This should not be the case. Don’t expect youraccountant to review and pick up irregularities from your statement. Many CPA’sare statement illiterate. When you look at the statement, you are looking for any changes in rates andfees and any other irregularities. April and October are the two months out of the year where you must review yourstatements. These months are when Visa/Mastercard association meets to setrates for the year. This is the time when your rates are most likely raised. If theyare raised, give your dedicated account executive a call or your processor’sretention department and kindly ask them to lower your rates back down. If they don’t, then switch processors because it’s obvious that they value those fewextra pennies over your business. There is an old adage in business – if you want more sales, make it as easy aspossible for your customers to pay. That means accepting all the cards – Visa,Mastercard, Discover, American Express, JCB and Debit cards. Some merchants refuse to accept American Express because the rate is too high. The question you need to ask yourself is whether you mind paying thehigher transaction costs to gain a sale or lose the sale to save on the highertransaction cost. If the former is more important to you, accept AmericanExpress. A few years ago, pin debit used to be the best way to cut your processing costs.That is not always the case anymore. Visa/Mastercard have cut the interchangerates for signature debit transactions. The debit networks have raised theirtransaction fees. But for merchants with high average transactions, pin debit isstill a great tool to save money, because the debit transaction costs are so much less. If you are a retail business, ask your processor if they offer check guarantee. Ifyou truly want to lower your transaction costs many check guarantee companieslike Telecheck and Certegy offer rates below 1%. Then put up a sign that youwelcome checks because some people still write checks. Do you have a dedicated account executive? Do you know who your accountexecutive is? If not, then you need to get a new processor with an accountexecutive attached. There are so many changes occurring in credit cardprocessing industry that you need to be pro active in your response. You need ago to guy to help you. That’s your dedicated account executive. A good merchant services account executive can help you analyze yourstatement, ensure that you are set up under the correct business type, help youdecide the best pricing method, advise you on the latest technology, help you winchargebacks, and resolve other issues. The famous saying goes that “price is a one time thing, cost is ongoing.” Manymerchants are lured into bad processing agreements by artificially low ratesand/or “free terminals.” You can find these offers advertised on the internet allday long. “Rates as low as…” “Free Terminal with every account”… Don’t befooled. If you’ve reached this point in the guide, then you’ve educated yourselfpretty well. You know that rate means nothing. Effective rate is everything. (Effective rate isall your processing costs divided by your volume.) Rate is what got you to sign.Effective rate is what you actually pay. Go with a company that offers the latest technology. Don’t pay extra fees or PCIcompliance penalties because of obsolete equipment. Look for value add likeloyalty programs, gift cards, check guarantee, online account access, POSsystems. These features can make a difference. These other services andproducts can give you a competitive advantage. If you don’t take advantage ofthem, then your competitors certainly will. Go with a company with a dedicated account executive. Ask the processor whathappens if your account executive leaves? Can you be assigned a new one?A good account executive can save you much time and money and it is worth itto pay a little extra for that service. Go with a reputable company that tailors its processing to your business needs.Many merchants think they can solve this problem by going to their banks.Banks do not have the same control over merchant services like other productsthey sell. Most banks outsource their merchant services to big processors likeFirst Data, Elavon, Paymentech. As mentioned before, the banks are looking toprofit off of you by making a profit from your business. Don’t expect to get agood deal from your local bank. But do expect to get a sympathetic ear whensomething goes wrong. Don’t expect your banker to be able to do somethingabout it. Second, your processor should be able to accommodate your needs. If youneed next day funding, or have large transactions, or take advanced payments,want to accept health savings cards or fleet cards, your processor should beable to work with you to create a plan that will meet your needs. If not, move onto the next processor. Be wary of free terminal offers. As the sayings go, you get what you pay for andthere are no free lunches. Credit card terminals aren’t free to the processor andthe processor will make sure it gets a return on the “free” terminal it gave to you.Find out what that cost is. The cost could be obsolete terminal, a long-termcommitment, or excessive penalties for non-return of equipment. Keep searching. If you are not completely satisfied with your current processor,then switch. The competition for merchant service accounts is fierce. You arein the catbird seat. The best advice when choosing a credit card processingcompany is picking the company, which you believe has the most integrity andwill deal with you honestly. This will hold you in good stead over the long run.